IICCMER - MASSACRE OF THE INNOCENTS from "Siret Paediatric Neuropsychological Hospital"
Bucharest, 25th June 2018. 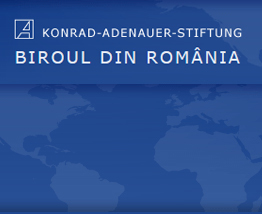 The Institute for the Investigation of Communist Crimes and the Memory of the Romanian Exile (IICCMER) has filed a denunciation to the Prosecutor’s Office attached to the High Court of Cassation and Justice regarding inhuman treatments applied during the Communist period in Siret Paediatric Neuropsychological Hospital. The denunciation refers to the period between 01.01.1980 and 22.12.1989 when 340 minor children died. Localised in the northern area of Romania, Siret Paediatric Neuropsychological Hospital, called, in a suggestive way, Orphanage of Terror, set up in 1956 by order of Health minister, is one of the first hospitals in Communist Romania dedicated to the infant neurological illness. In Siret, between 1956 and 2001 there have been hospitalized 8586 children; 1500 lost their lives. The decision to start the investigation with the last Communist decade is grounded on the limited time and human resources and the extent of the investigation for both IICCMER and the Prosecutor`s Office. For the chosen period (01.01.1980 – 22.12.1989), 340 deaths have been registered, with a peak record in 1981 (81 dead children), while in 1991 the civil status registers indicated only 2 deaths due to the implication of foreign charitable organisations. An important aspect is the problem of the declared number of deaths which diminishes considerably beginning with 1983 and 1984 (only 12 deaths in 1984), due to the fact that children were massively transferred in other institutions across the country. The hospital register indicates the transfer of over 750 children in only a few days in the late November of 1983. Since there is no information regarding their fate, IICCMER`s investigations continue in order to determine the path of each transferred child during that period. The majority of deaths took place in winter, their causes being, by and large pulmonary illnesses, followed by epilepsies, and cardiac, renal, liverish, or gastrointestinal illnesses. When talking about age groups, the majority of deaths were registered around 1 to 4 years old (more than a half), followed by children aged 5 to 10, 11 to 18 and over 18 years old. An analysis on the deceased children`s birthplaces proves the fact that most of the children came from Suceava county or the counties nearby, but also from the rest of the country, from cities such as Bucharest, Bihor, Timiş, Dâmboviţa, Constanţa, etc. One trigger for this situation appeared in 1966 when the Romanian Communist regime initiated one of the most restrictive pronatalist demographic policies. The forced increase in population, strictly quantitative, without any respect for human basic needs, generated the growth of maternal and infantile mortality, as well as the tremendous growth in the number of babies, some born with severe congenital malformations, with physical and psychical illnesses or with various hereditary illnesses. As a result, an impressive number of these babies became orphans or were abandoned. Minors who needed protection from the state were divided into three categories: “recoverable”, “partially-recoverable” and “unrecoverable”. The differentiation was made between a category that the state tried to “recover”, totally or partially, in order to subsequently integrate into the labour market and a category for which the state was not willing to invest or to have some sort of recognition. The rehabilitation, even partially, of these children, who would have been ulterior integrated into the labour market, required important expenses, for which the state contributed only partially. The parents were forced to cover a part of the nursing costs, no matter their financial status. A lot of mono-parental families, with minimum income, were forced to pay up to half of the costs in order to have their children cared for in a foster home. The orphaned children without parents were in the most difficult situation because they didn`t have any finance or relatives and the social insurance budget didn`t provide any sums or legal ground to cover these expenses. For the Communist ideology, only the healthy humans would count, “the rejects” being hidden and, on the edge, evacuated. As a result of the death certificates analysed by IICCMER and forensic medicine specialists, the following conclusions can be drawn: on one hand, there were high rates of mortality in certain pathologies which could have been easily prevented if early diagnosed and properly treated; on the other hand, there were specific death causes which support the conclusions regarding the existence of a regime characterised by inhuman treatments applied on minors in the hospital. Consequently, IICCMER has filed a criminal complaint to the General Prosecutor`s Office, the second in a series of denunciations regarding systemic and systematic crimes occurred in the Communist period, taking into consideration all administrative professional and political ramifications. According to the legal framework, IICCMER is tasked with performing scientific investigations regarding crimes, abuses and violations of human rights and notifying the law-enforcement agency. 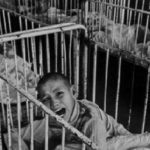 We reiterate the fact that IICCMER filed a denunciation (281/P/2017) last year, on the first of June, on Children`s Day, regarding inhuman treatments applied during the Communist period in the Unrecoverable Children`s Shelter Hospitals from Cighid and Păstrăveni and the Unrecoverable Children`s Shelter from Sighetu Marmației. According to the information owned by IICCMER, the denunciation was investigated by the Prosecutors’ office attached to the High Court of Cassation and Justice. That is, criminal prosecution started in rem. Taking into consideration the large dimensions of both denunciations, IICCMER continues to support the effort of the Prosecutor`s Office through data and scientific investigations. For more information, please contact us at: office@iiccmer.ro / +40 21 316 7565.